Forensic Inspections - What are They? Building Forensics is the investigation of structures, both home and commercial, to determine the causes and reasons for 1) a physical failure the materials, products, or components of the building, or 2) an infestation of a substance, animal, or toxin that is imposing or can impose a negative environmental health effect upon occupants of the structure. Inspections and investigations can take the form of simple visual inspecting, material or air testing, thermographic inspecting, and destructive measures. Building forensics encompasses the fields of building construction techniques, building engineering methods, materials science, environmental science, microbiology, environmental science, and basic laws of physics. The combination of wind energy, solar energy, precipitation, groundwater, soil composition, weather, humidity, interior and enclosed wall space air flow, microbiology, local animals, and building occupants, and the interaction of these factors is what can bring about material failures or adverse health effects. As one can see, there are many factors that can work together to cause a problem. Generally, it takes a minimum of three factors working together to cause problems that will result in a physical issue or a health effect. MHBI will begin with a discussion of the problem or concerns of the building owner or occupant, which is a free service. Based on the discussion, the owner or occupant can decide to move forward with an on-site visual inspection. If detection of a problem is not obvious, physical material or air quality sampling and testing may be necessary, or other electronic measurements may be called for to more closely focus on or locate the problem area. In most cases, physical destructive measures will become necessary to locate the problem. 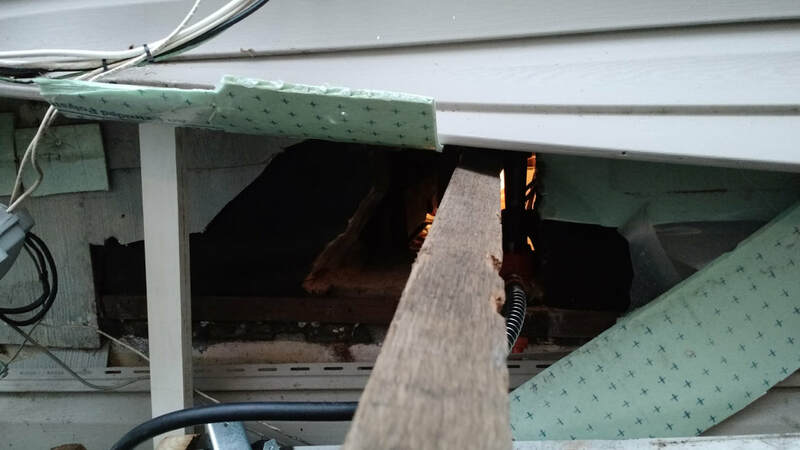 Typical destructive practices include opening up interior walls, interior ceilings, or exterior wall coverings, based on the failures and lessons learned over the years. Once the area at issue is located, determination of the cause, and recommendations for repair, modification, and replacement can be provided. The owner can then choose an appropriate repair process and company to perform any remediation, corrective process, and repair. Depending on the extent of the problem and resulting damage, several companies may be necessary to complete the repair. Major repairs or issues that are or can result in health effects may require occupants to be out of the home while repairs are being performed. When we do the home inspection part of home buyer training, one of the things I impress is that water is the worst enemy of a home. With the exception of termites, if you keep water out of the structure of a home, most every potential or typical problem with a home can be avoided. When water or moisture enters a home repeatedly, Nature will begin the process of destruction and decomposition of the materials in a home. 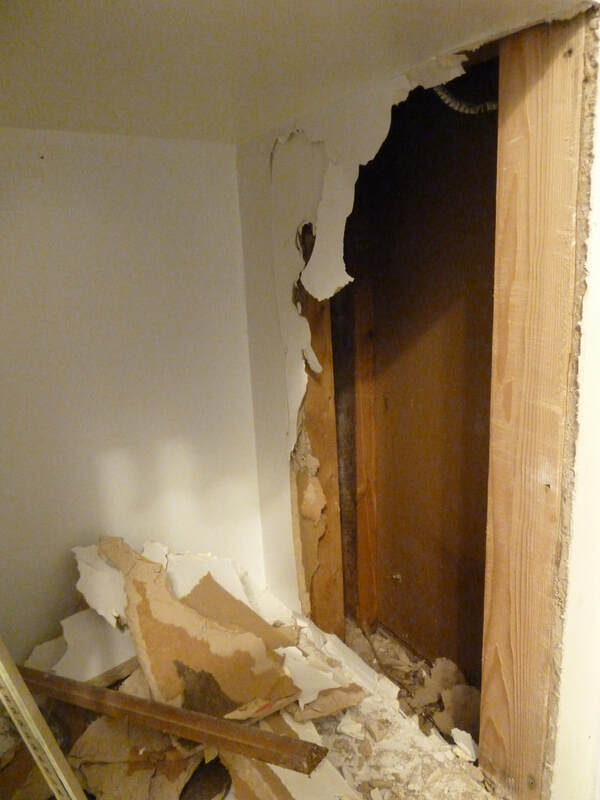 Most forensic findings locate the culprit of destruction to be water intrusion. MHBI provides free advice via phone, so before you hire a remediation or repair company please give us a call to discuss your problem and concerns. MHBI performs visual inspections, in-depth investigations, testing, and destructive methods, as necessary, but does not, and is not licensed, to perform any remediation or repairs, as that is considered a conflict of interest.